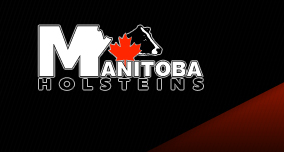 The Manitoba Holstein Branch is extremely proud of all its members and their dedication to promoting the Holstein breed. Each year we publicly recognize our member's achievements with special awards. Most awards are presented at the awards luncheon after the Annual General Meeting held in conjunction with the Dairy Farmers of MB Conference early in December. Other awards are presented at club functions. Congratulations to all winners for your achievements. We are here to support you in your continued success!